Promote your next campaign in everyone’s signature with a few clicks. One of your best marketing channels is hiding in plain sight. Now you can tap into it for free. Every week, your team sends thousands of emails to prospects and customers. With Drift Signatures, you’ll not only ensure everyone’s on brand, you’ll also drive traffic to your latest campaign, event, or content. Once people click through and arrive on your site, you can even greet them with a personalized message from the sender. 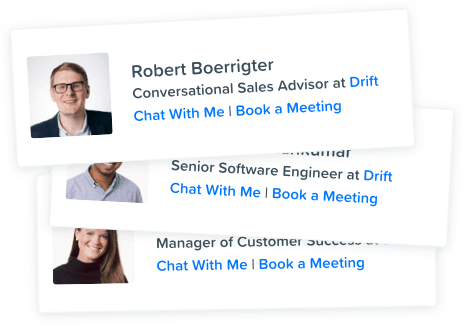 Starting conversations with interested customers has never been easier. Create free email signatures that generate leads and keep everyone consistent. You’ll have everyone looking professional and on-brand whenever they email prospects or customers. Clicks don’t close sales—conversations do. That's why you can greet anyone who clicks through to your site with a personalized message from the sender. You won’t have to enter credit card info or deal with a limited trial. You can start increasing engagement with your own branded signature today. “Hey Todd, just wanted to remind you to PLEASE update your signature,” is an email you’ll never have to send again. 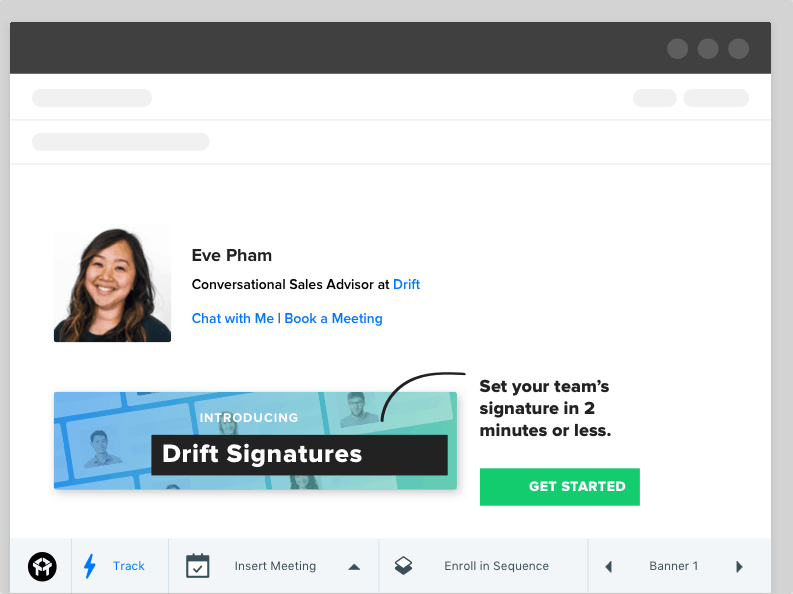 Drift gives you central control, so you can push signature updates to your whole team in seconds. Every team has a Todd. With Drift Signatures, you can finally keep him on brand. 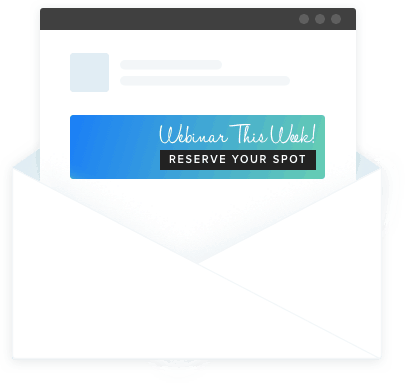 It’s rare to find a free, untapped marketing channel that gets you in front of thousands of people every week. But that’s exactly what company email is. 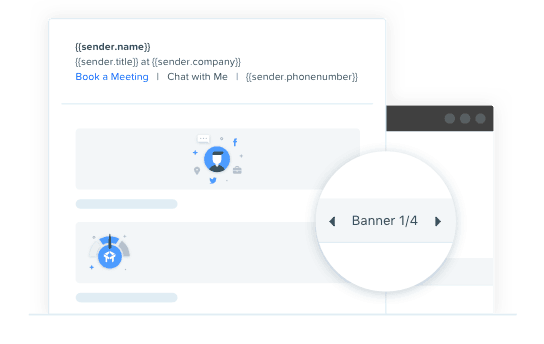 Now you can add banners to every email signature and drive leads for your latest campaign, event, or product. Want to promote different campaigns or content to different recipients? Cycle through your available banners and pick the most relevant one without leaving Gmail.